Nevron Chart supports 4 view modes: Perspective, Orthogonal, Orthogonal Semi-2D and 2D. In perspective view the chart is rendered in a natively perceptible way. Orthogonal view keeps the proportions of visual objects. Orthogonal Semi-2D view allows creating 2D images using the full potential of Nevron 3D OpenGL-based engine. 2D view generates crystal-clear, highly informative 2D charts. Nevron Chart for supports 4 view modes: Perspective, Orthogonal, Orthogonal Semi-2D and 2D. In perspective view the chart is rendered in a natively perceptible way. Orthogonal view keeps the proportions of visual objects. Orthogonal Semi-2D view allows creating 2D images using the full potential of Nevron 3D OpenGL-based engine. 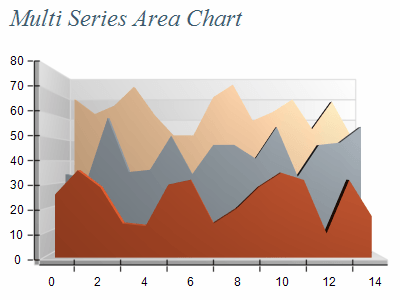 2D view generates crystal-clear, highly informative 2D charts.